Coco Nirvana a super-hydrating, nutrient-packed, potassium-rich, high-electrolyte coconut water. Drinking Coco Nirvana is as refreshing as it is to have it straight from the nut. It bottles all the goodness of Coconut. Coco Nirvana is a refreshing drink for any time of the day. It is also a fantastic ingredient for healthy smoothies and can be used as an alternative to water or juice for mixing with protein powders. We are well known in the market for offering Coco Nirvana Coconut Water in different packing sizes. 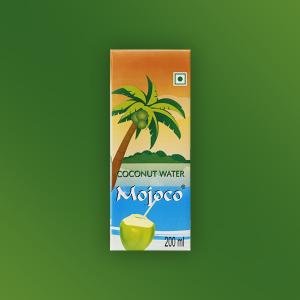 Optimal in purity, this coconut water is best in quality and completely safe to consume up to a longer time. Moreover to this, these presented drinking products are finely prepared by the experts in dust free environment.